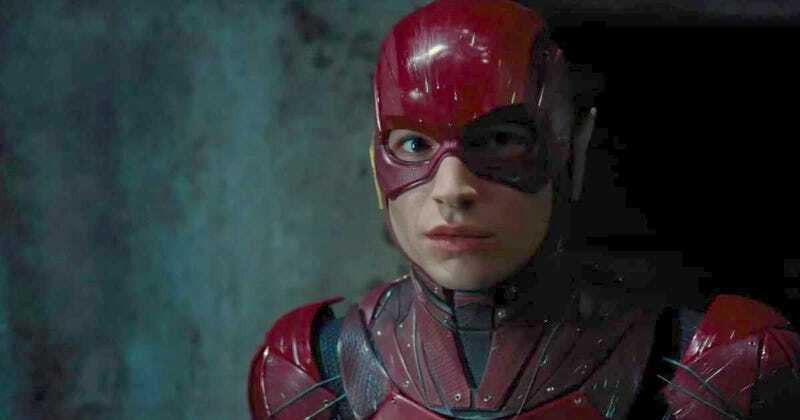 A new writer has just been hired to do a complete overhaul on DC’s Flash movie, marking the third time the creative direction of the film has changed. First, Seth Grahame-Smith was attached to the film. He wrote a script and was set to direct. Later, he left citing “creative differences.” Rick Famuyiwa then came on board. Originally, it was thought he would use Grahame-Smith’s script, but he did his own rewrite. He then also left the project, also citing creative differences, leaving the film without a director. Now, Variety reports Joby Harold has been hired to do a “page one” rewrite of the script, which is Hollywood terminology for deleting the old one and starting anew. Ezra Miller, who played the Flash in Batman v Superman, Suicide Squad, and the upcoming Justice League, is still attached to star. It may be optimistic to say this, but one would hope this is the script that will stick. The first version was conceived before the release of Batman v Superman and the immediate rethinking of the direction of the DC films. The second was then developed while the whole tone of the universe was still being discussed. Now, with Aquaman getting ready to shoot and a new Black Adam film in development, major changes are happening. It feels like the executives in charge, DC Comics chief creative officer Geoff Johns and Warner Bros. executive Jon Berg, have finally figured this thing out. Hiring Harold at this moment in time strongly suggests he’s starting with an idea of the tone and story the studio has agreed on. Or, at least we can hope. Harold is a relative newcomer when it comes to film fans. He wrote and directed the 2007 film Awake with Hayden Christensen, and also wrote the upcoming Guy Ritchie King Arthur movie. And if those titles don’t wow you, he also produced Edge of Tomorrow. The Flash Just Lost Its Dope Director, But Could That Be a Good Thing?